Ben Shipper works as an attorney at Bendure & Thomas, a Bingham Farms, MI law firm that specializes in tax controversies, pension & retirement plan disputes, business litigation, probate, and appeals. He also regularly consults with nonprofit organizations. Ben grew up in West Bloomfield, MI, graduating from the International Academy high-school in 2005. 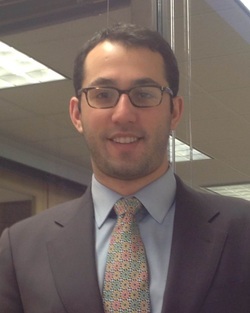 After attending the University of Michigan, where he was a member of Sigma Phi Epsilon and where he met Blake and Jerry, Ben started law school at Loyola University Chicago, graduating in 2013. He has been licensed to practice law in Michigan since 2013. Ben currently lives in the Midtown neighborhood in Detroit, MI.